Kazuki Takahashi (?? ?? Takahashi Kazuki, also ?? ? 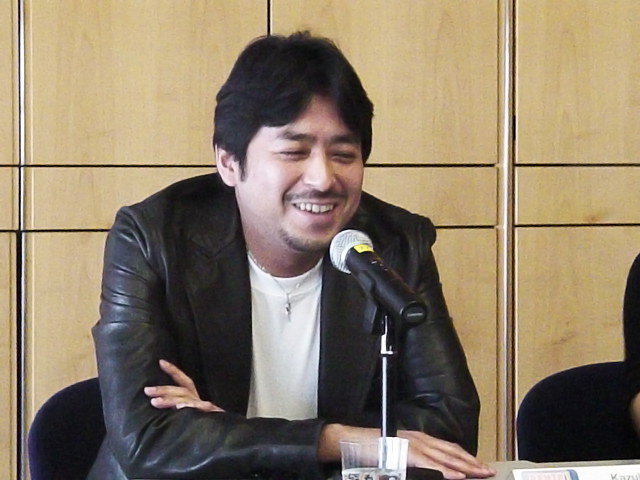 ?, born October 4, 1961) is a Japanese manga artist and game creator, best known for creating Yu-Gi-Oh!. Bio from Wikipedia, the free encyclopedia. Photo by English:StGerner at de.wikipedia [CC BY-SA 2.0 de (http://creativecommons.org/licenses/by-sa/2.0/de/deed.en) ], from Wikimedia Commons.